ANNE GREENE here. 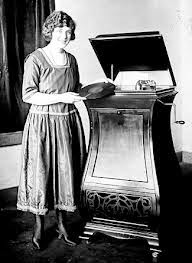 Music defines an age and I love the optimism of the 1920s. 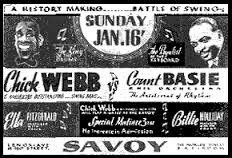 Along with jazz, big bands were extremely popular. Happy-Go-Lucky characterized the 1920 songs. No previous decade in America had been so confidant. The Great War to end all wars had been won several years earlier. America enjoyed prosperity like never before. Women had earned suffrage. Clothing and hair styles grew freer for both men and women. Women had a choice of staying home or choosing a career. Jobs were plentiful. The economy boomed. 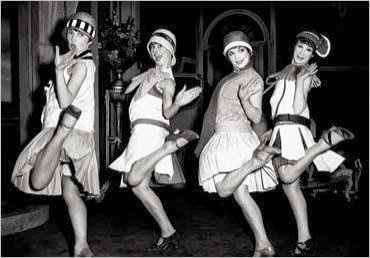 America entered the Jazz Age. 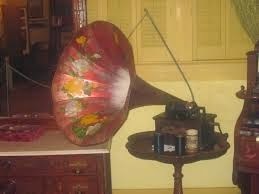 The phonograph record surpassed the sales of sheet music and piano rolls. Radio moved from being an expensive novelty into a major piece of entertainment. By the late 1920s movies went from silent to sound and created another medium for the decade’s music. Prohibition and the opening of Speakeasys provided ample opportunities for musicians. Young people went crazy for dances like the Charleston and the Black Bottom. The swing debuted as another popular dance style. Record companies sold records in huge numbers. Songs like Sweet Georgia Brown, Dinah and Bye Bye Blackbird became instant hits. Some of the 1920s songs you will recognize. I know none of you remember the music of the 1920s, but perhaps your grandmothers sang these songs. Some of the more popular songs lasted through the 1940s. Songs like Honeysuckled Rose, Ain’t Misbahaving, Stardust, The Man I Love, Blue Skies, and What Is This Thing Called Love. Band leaders like Paul Whiteman, Benny Goodman, and Glenn Miller started developing the Big Band sound while playing in Jazz Dance Halls. See if you recognize any of these songs: Yes Sir: That’s My Baby, If You Knew Susie, Tea for Two, All Alone, Lady Be Good, Indian Love Call, Lady Be Good, When My Sugar Walks Down The Street, Moonlight and Roses, I’ll See You In My Dreams, Look For The Silver Lining, Ain’t We Got Fun, Make Believe, All By Myself. Leave a comment and tell me which songs your mother or grandmother sang around the house. 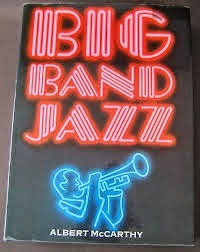 Did they tell you stories of dancing to the Big Band sound? ANNE GREENE delights in writing about wounded heroes and gutsy heroines. Her second novel, a Scottish historical, Masquerade Marriage, won three prestigious book awards. The sequel Marriage By Arrangement released November, 2013. A Texas Christmas Mystery also won awards. Anne’s highest hope is that her stories transport the reader to awesome new worlds and touch hearts to seek a deeper spiritual relationship with the Lord Jesus. Anne makes her home in McKinney, Texas. Anne loves to talk with her readers. Buy Anne’s books at http://www.Amazon.com. Visit http://www.anneswritingupdates.blogspot.com for information on writing an award-winning novel. Talk with Anne on twitter at @TheAnneGreene. View Anne’s books, travel pictures and art work at http://www.AnneGreeneAuthor.com. For a chance to win a free copy of Anne's new Scottish Historical Romance, go to http://www.anneswritingupdates.blogspot.com and join her site. I love this age and these songs as well. I'm so glad you enjoyed the memories! You sound like you had a great family. I only had one sister, so I'm jealous. I think families were closer back then before all the children had cell phones and stayed in constant contact with friends rather than family! I'm so glad I stopped by the blog today. I've been mentally working on an historical romance I'd like to write set in 1924 at a New England summer resort for the wealthy. I know of a band that used to play at this resort, but your post gives me so much more to work with. My dad sang a lot of old songs but I don't know that they went back as far as the 20's: Down By the Old Mill Stream, K-K-K-Katy, I Dream of Jeannie with the Light Brown Hair, Bicycle Built for Two. Now that makes me wonder what my kids remember me singing around the house! Marti, I hope you are still singing around the house. My mother did too, and my sister and I sang while we did the dishes. We also sang in a church choir. Singing is good for the heart and spirit. I loved Glenn Miller songs, but never heard the Big Band sound in person. However my grandmother lived in that era. I remember my mom and sister singing, Yes, Sir That's My Baby and Blue Skies. They loved Big Band music and passed down that love to me.